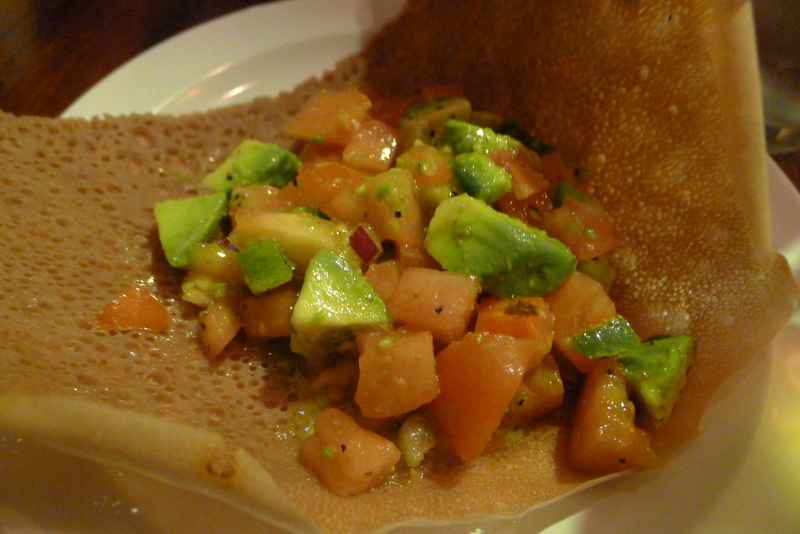 Today I headed a few blocks south of my apartment and ended up in Ethiopia – for dinner at Meskel. 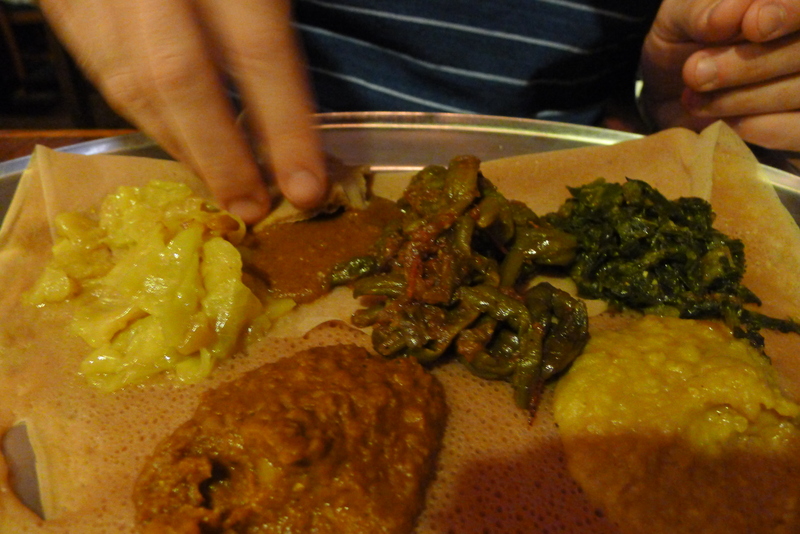 I’d never had Ethiopian food before and had zero idea what to expect, but Ryan had nabbed a very generous Groupon, so we decided to give it a go. Meskel is a simple little place that you would barely know was there if you passed it on 3rd Street, but it was pretty charming. 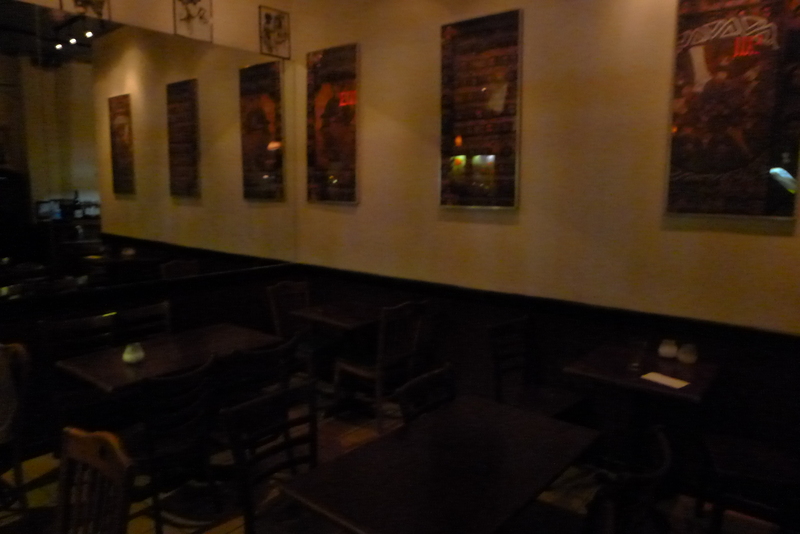 And what it lacks in razzle dazzle, it more than made up for with delicious food and a very different dining experience. 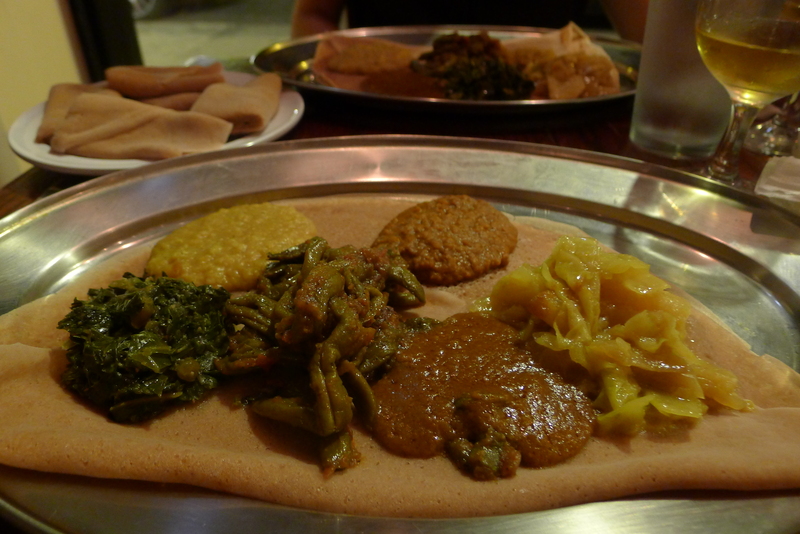 We opted for a couple of appetizers and a vegetarian platter for the main course, and each ordered a glass of Ethiopian Honey Wine. Oh dear god, the wine was delicious. 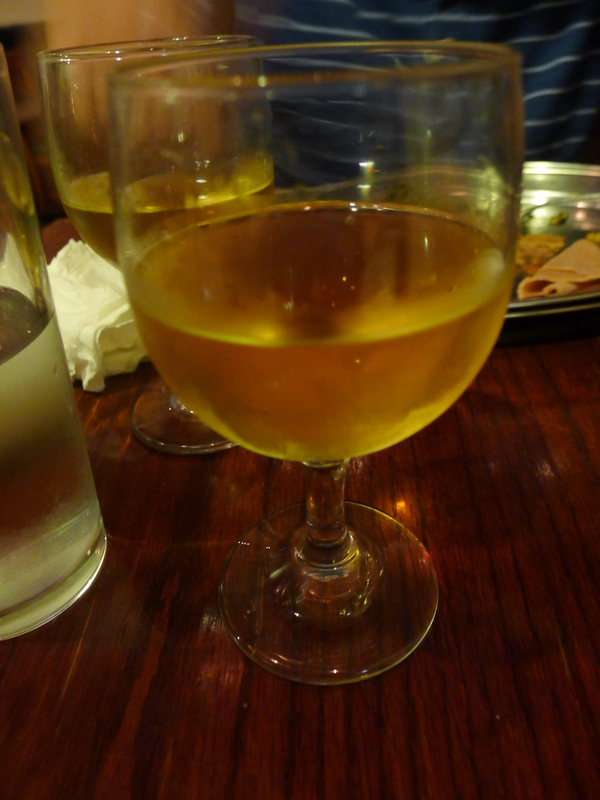 It was so sweet and tasted just like a dessert wine – so probably not a drink for connoisseurs, but it definitely slipped down like juice for me. 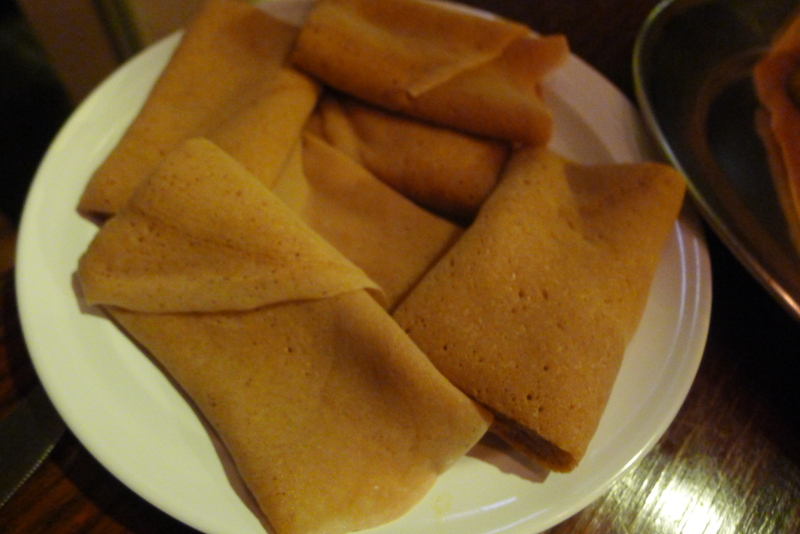 Both the appetizers and the main courses were served on a pancake type of bread called injera. This stuff was amazing; rather than using cutlery, we scooped up the appetizers (chunks of avocado, onions and fresh tomatoes) and the mains (a selection of vegetable curries) with this doughy bread. 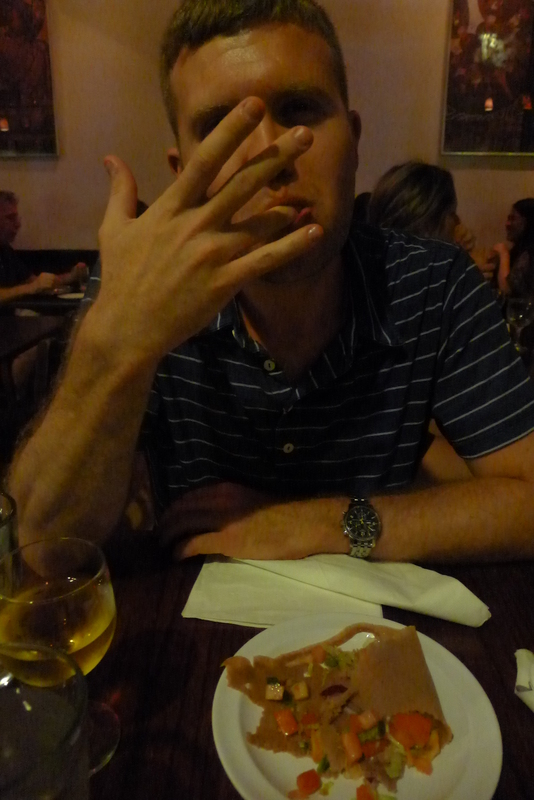 Even though we were eating it throughout the meal, it had a lightness that meant it wasn’t too stodgy or heavy. 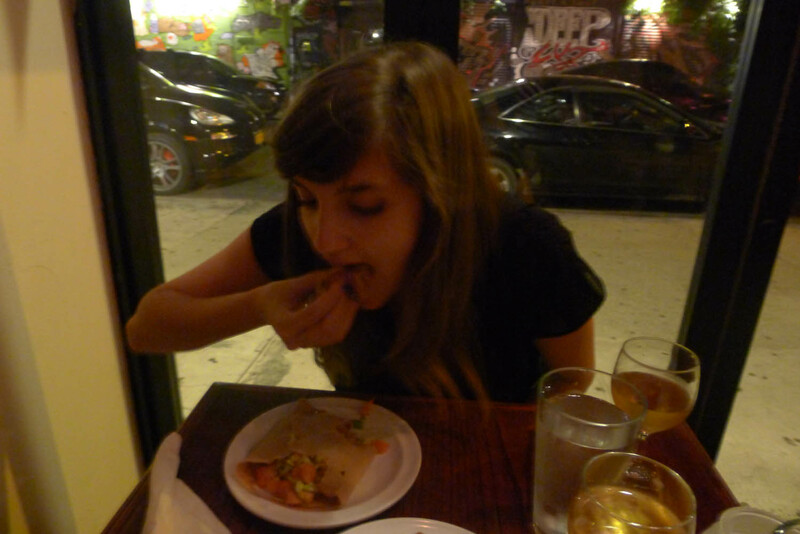 On the veggie platter, I definitely preferred the lentil-based curries – Miser Alecher and the spicier Miser Wat. 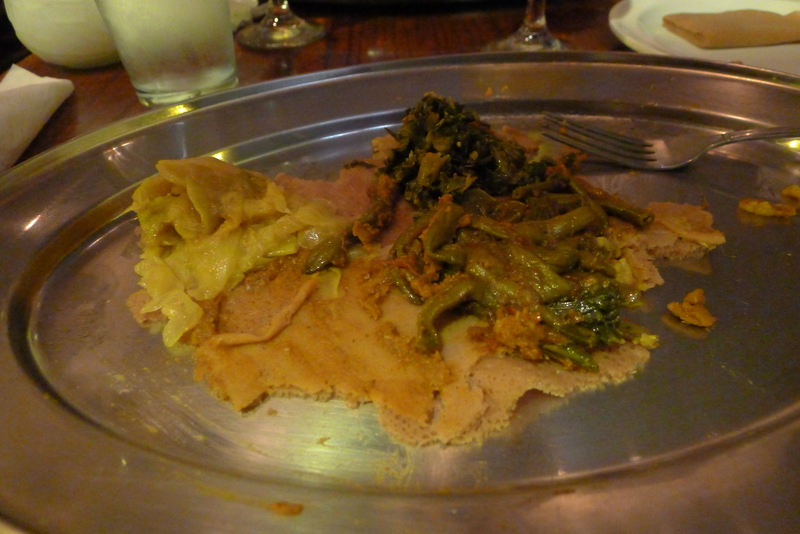 I wasn’t so keen on the green beans stewed in tomatoes (Fosolier) or the cabbage, potato and carrot cooked in ginger and garlic (Tikil Gomen), but what I did find interesting was how I could taste influences of other cuisines in the dishes, hinting at Ethiopia’s geography. The platter had the spice of Middle Eastern foods and the tomato sauces were just like those from Turkey or cooked by my aunt in Cyprus. 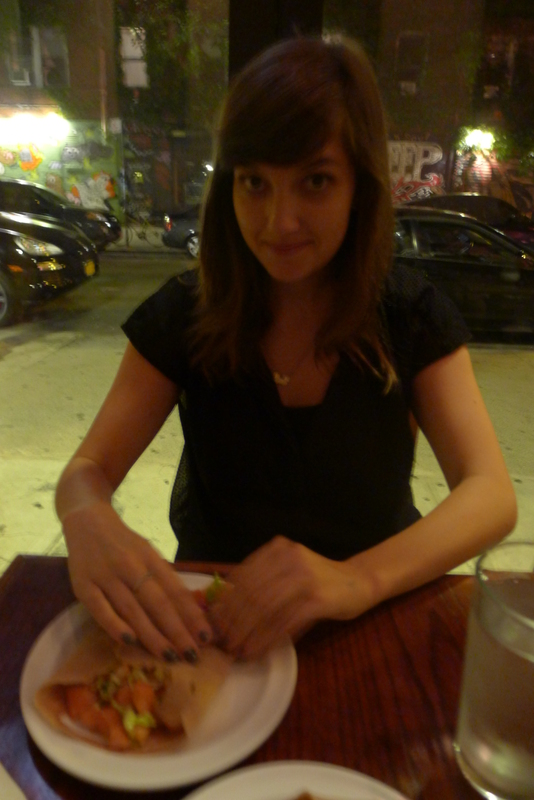 It was such an interesting plate of food and while I didn’t love it all, it was the perfect option for a first visit. So this was a winner. 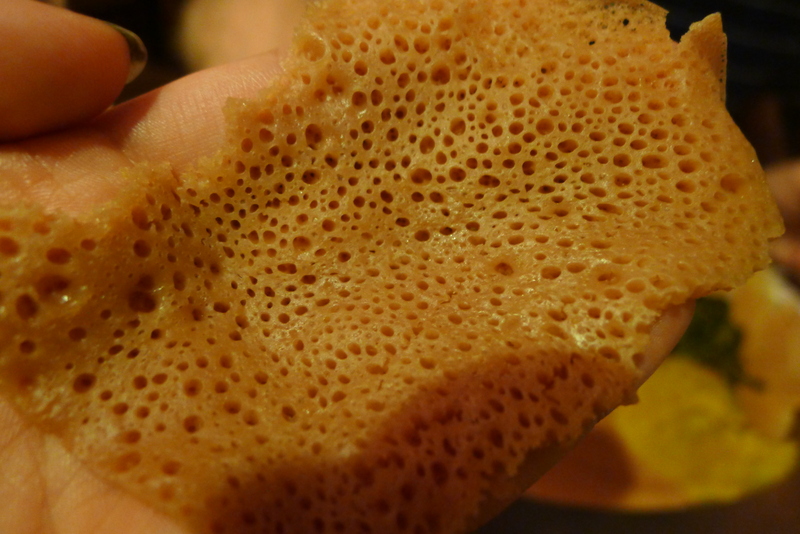 I’ve had a few new cuisines since starting this blog – Malaysian, South African, Turkish – but this one felt far more like a new experience than any of those, mostly thanks to the injera. 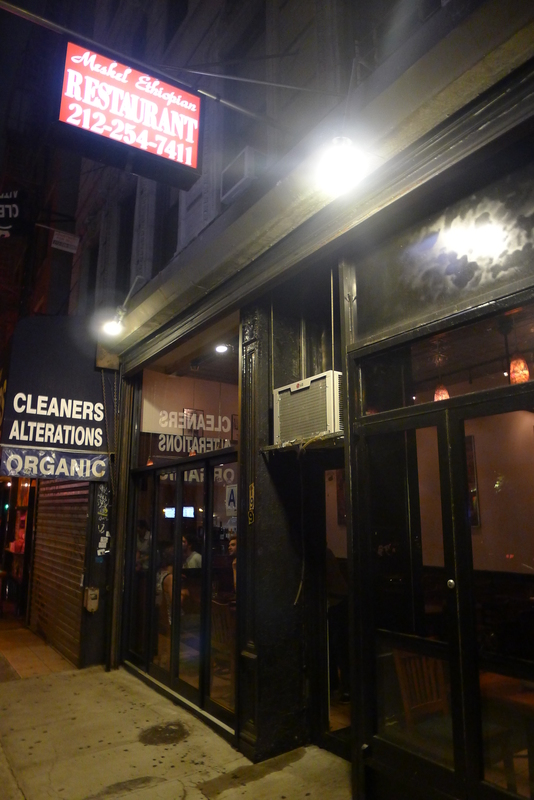 So if you’re in the East Village, I would definitely recommend giving it a go.